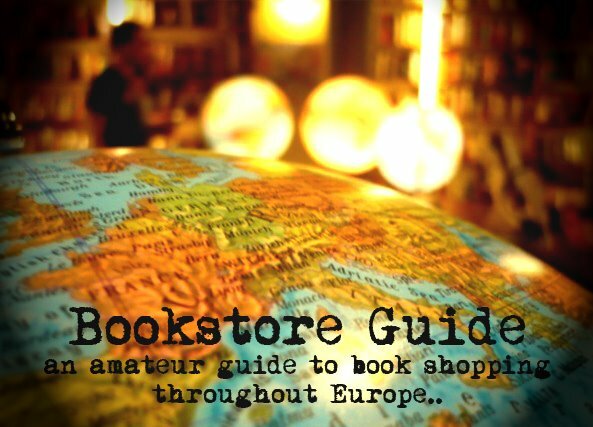 Michael said: " In Milan, there is a nice American bookstore near the castle." The first association that probably crosses ones mind with the mention of Milan is fashion (although I bet that football fans would probably go with AC and Inter...), but this city is also very rich in bookstores since most of the country's publishing houses reside here. 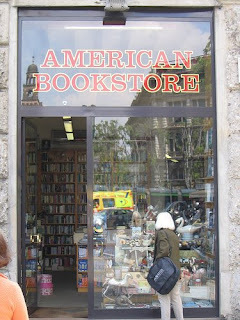 The American Bookstore, located in front of the Castello Sforzesco right past Duomo in Milan, stocks a wide range of English language novels and publications for the English speaking public. This bookstore primarily aims to satisfy the needs of the considerable population of ex-pats, but many locals with a passion for English along with tourists and visitors of the city have praised this place. Like elsewhere, huge bookstore chains have taken over the book market, and it's becoming more and more difficult to survive for specialized English bookstores not only in Milan. However, the American Bookstore has definitely managed to find its stable customers and has become a very lively spot in the city's center. So if you need a rest from the city's sights and sounds for a while, this place can turn out to be a pretty good option. The bookstore sells all kinds of novels and publications and its offer covers everything from academic and scientific titles to children literature, from books on cooking to poetry and books on art. Of course, the shelves in the fiction section are full of the greatest authors in the history of American literature from classics such as Poe or Twain, through the rebels of the beat generation like Kerouac or Kesey, or the funny and often provocative Vonnegut or Bukowski. Furthermore, you can purchase periodicals from the United States. Hi, I am from Canada. I visited this bookshop during my summer holiday. it's all I wanted. I'd like to contact this bs again in the future, please provide email address.